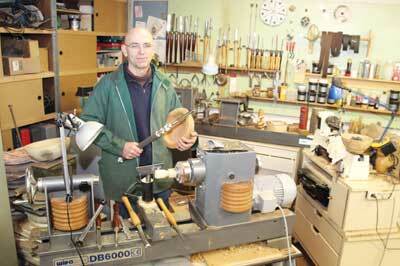 I started woodturning by visiting a woodfair in Antwerp, Belgium. An attentive woodturner gave me a flyer. 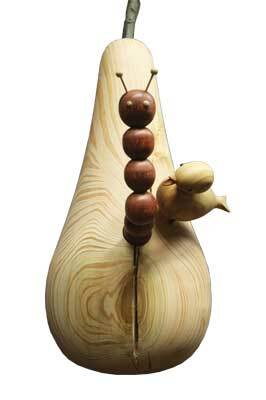 That was the beginning of a long membership of the Flemish Guild of Woodturners. Probably now more than 20 years ago. I'm obsessed by wood. 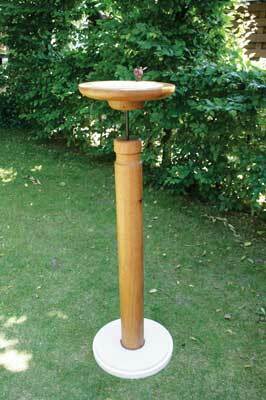 To increase my knowledge of the English language, I read every magazine on woodturning. I suppose there will be an influence from that corner, but also from professional woodturners, such as Cindy Drozda and Jimmy Clewes. The one I admire the most is the club member who has great woodturning skills, who is willing to share every secret, who encourages other members and who participates in the survival of our Guild. I still have two eyes and want to keep it that way; always wear eye protection! I lost my heart in the '80s in my workshop. The radio always plays songs from that period. I'm working as a head of a psychiatric section in a hospital in the north of Antwerp. I'm now reading 100% psychosis. 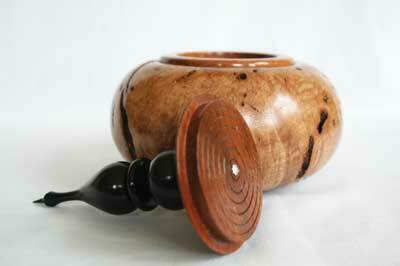 Woodturning is an issue I work with, together with psychiatric patients. Thinking people are not interested in the art of woodturning. 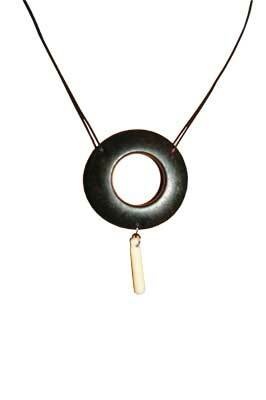 Participating in an art event as the only woodturner. I have to make bracelets for my daughters before they finish school this year. I am participating in an art event. The subject is World War I. I created 12 typical English helmets: 'the Brodie' helmet. Separated by a plexi plate, there are 12 faces. The title will be 'lost souls'. I had always had problems with light. As you can see in the photo of my home-made jig on the previous page, I turned a 150mm cylinder, cut it in two, drilled a hole in it and stuck one half on my tailstock and the other one on the headstock. Now, I'm able to put my lamp in four different places. Two in the half cylinders and two in the attachments supplied with the lamp, which allows me greater flexibility with my work. I should ask every woodturner to make an art piece and decorate it on the outside of their house. It would be nice to see how many woodturners there are. Street view should be one great art event. I made this jig to support my light, so I can see exactly what I am doing while turning. This is very important from a health and safety point of view, and it is also good to see what you are turning! 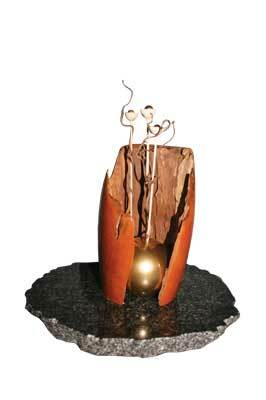 I always had problems with lighting my work and the lamp often stood in the wrong position. I turned a cylinder, sawed it in two halves on the bandsaw and cleaned the two sides with abrasive. This simple jig works really well. I drilled a hole in both of the half cylinders approximately 1mm wider than the pin on the lamp base. I then stuck one half cylinder on my tailstock and one half on the headstock of the lathe. Now I can position my lamp in four positions: two in the jigs I made and two in the attachments which were delivered with the lamp. Now there is always one suitable position! I made them from hardwood hoping they will last a lifetime. 2. Where can I buy time? 3. I am addicted to woodturning!